Jeff Myers, in this interview with Ross Upshur, discusses the evolution of palliative care and the evidence that has accumulated outlining its impact on outcomes for patients, families, and systems. With early efficacy studies having focused on end-of-life experiences for patients with cancer, strong evidence now clearly delineates a role for palliative care from the time of diagnosis for any person with serious illness and their family. Serious illnesses are those that are incurable and progressive and include but not limited to heart failure, COPD, chronic kidney disease, neurodegenerative diseases, dementia, frailty as well as metastatic cancer. No longer should palliative care be thought of as the alternative to disease-focused care, it is as an added layer of support that must be provided alongside disease-focused care. This expansion of relevance raises several questions and creates both opportunities and challenges for the growing discipline. What is it about the palliative care approach that makes such a difference in the experience of patients and families? Can the palliative care needs of patient populations be met by a limited number of palliative care clinicians? What changes in our medical training programs as well as those of other professions would better prepare our clinicians of the future to address complex palliative care needs? Jeff and Ross discuss these and other questions as they address the complex nature of palliative care clinical service and educational delivery. Dr. Jeff Myers, MD, MSEd, CCFP(PC), is a palliative medicine physician who joined the Sinai Health System Toronto in July 2017 as Site Lead for the Bridgepoint Palliative Care Unit. 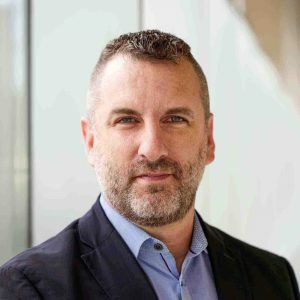 He is an Associate Professor at the University of Toronto and for the past five years has been Head of the Division of Palliative Care within the Department of Family and Community Medicine. He currently holds the W. Gifford-Jones Professorship in Palliative Care and his academic interests include complexity theory in palliative care, person-centered decision-making and learner assessment in competency-based education. This is the link to Dr. Jeff Myers academic biography, research interests, publications, and awards.